Google has today released an update for its mobile iPhone app that allows it to use Push Notifications from your Google account, keeping you up to date with appointments and email. A new icon badge shows you’ve got new mail in Gmail, and Google Calendar event reminders appear right on your home screen, so there’s no excuse to be late for that important meeting any more. Other features have also been added to help increase the speed at which you can access information. Now before you even hit ‘search’ when looking for flight info, weather, stock quotes or currency conversion you’ll see answers appear. 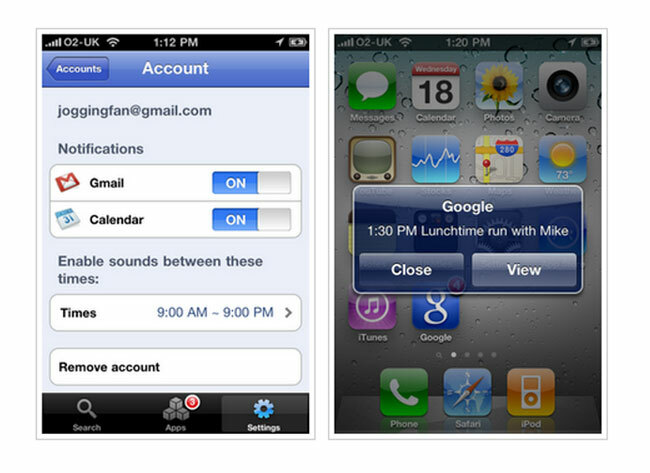 The Google Mobile App for iPhone is available to download from the iTunes App Store for free.